"There must be a cultivation of the totality of the mind, and not merely the giving of information." The Krishnamurti schools were founded with the aim of bringing about a radical transformation in human consciousness. While imparting academic proficiency, the schools attempt to awaken intelligence and sensitivity in the child in a non-competitive environment. Rajghat Education Centre (REC) was established in 1928 by Krishnamurti overlooking the confluence of the rivers Varuna and Ganga, on the outskirts of the ancient pilgrimage city of Varanasi. The centre functions in the light of Krishnamurti's teachings and his vision of education. The Centre consists of The Rajghat Besant School, Vasanta College for Women, Krishnamurti Study Centre and Rural units that are engaged in community services. Krishnamurti (1895-1986) whose life and teachings spanned the greater part of the 20th century, is regarded as someone who had a profound impact on human consciousness in modern times. Sage, philosopher and thinker, he illumined the lives of millions the world over – intellectuals and laymen, young and old. Breaking away from all organised religions and denying his role as a Guru, he spelt out his mission: to set man absolutely and unconditionally free. He travelled around the world till the age of 90 giving talks, writing and holding discussions. Over 80 years old, the school was born out of a vision of Krishnamurti to set up a spiritual institution that will transform minds. In the year 1927, he charged Benegal Sanjiva Rao, a theosophist deputed by Annie Besant to work with him, to acquire lands in the Rajghat area next to river Ganga. The school endured great difficulty in the founding years owing to financing, staffing and land issues but stood the test of times. The landmark assembly hall constructed by architect of Tagore, Shri Surendranath Kar, stands as a testimony to the labor pains of this venerable institution. 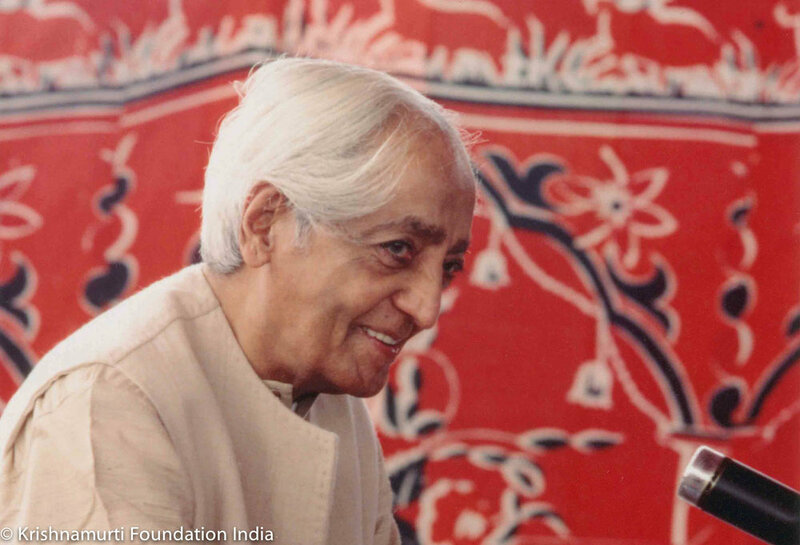 Born out of his deep compassion for the underprivileged, Krishnamurti invited his friend and socialist Achyut Patwardan to engage with the impoverished villages in and around Rajghat. The approach, now over 60 years, has involved empowering communities to solve their own problems through the domains of education, healthcare and women empowerment. Its primary aim is to develop a harmonious relationship with the neighbouring village communities based on mutual respect and appreciation. You can get involved in activities ranging from dissemination of teachings, publication, education and community empowerment under the aegis of three foundations and eight schools located in different parts of the world. At Rajghat, educators and volunteers can experience our attempt to live the teachings by working in the schools or being part of the community engagement. We invite alumni to engage with the school to relive the memories.